If you didn’t know, carb cycling is an effective way to burn off fat and build lean muscle while using an intermittent diet approach that focuses on high and low carb switching. The reason for this switching is to keep the metabolism up-regulated. Being on a low carb diet, although very effective, can end up down-regulating the body’s metabolic responses, especially if the diet is low in calories, too! In a previous post, I discussed the “how-to” in this post, and now I’m answering four common questions about carb cycling. 1. Should High Carb Days Be On Heavy Lifting Days? Although most people will choose to have their high carbohydrate days on the days they perform their most heaviest lifting, it’s not necessary. In fact, you might get better results if you perform your high days on the day prior to your workout. Why? Well for one, if you want to make the most benefit out of the carbs your eating, you will want to make sure you have the most glycogen loaded in your muscles available. If you’re ingesting a high amount of carbs on the same day you lift heavy, depending on when you lift you may not get in all those carbs. Allow for proper digestion for glycogen replenishment to occur. Tip: Depending on how depleted you are, consider having a few high carb meals prior to your training to allow for a steady supply of glucose to your muscles. Remember, nutrient timing is not as important as once thought; eating majority of your carbs prior to your workout will be sufficient enough to maintain an anabolic response even after your workout! So load up, and choose to perform your workout later in the day, or the day after your load first thing in the morning. 2. Should High Carb Loading Be Completed With Simple Carbs? Traditional carb cycling diets recommended eating simple carbs like white potato and white rice on those days where you perform a high carb day. If you want to guarantee that you’ll feel hungrier and have increased cravings on high carb days, this is a good way to do it! Simple carbs are digested quickly and easily by the body, giving rise to a quick rise in blood glucose, while also stimulating insulin release. This insulin surge quickly clears the blood from sugar and re-adjusts blood glucose back to normal. This can result in an energy crash, fatigue and an insatiable desire to eat more sugar. In one study on trained cyclists, it was found that a low-glycemic carbohydrate meal of lentils was shown to significantly improve endurance and time to fatigue versus a high-glycemic meal of potatoes eaten one hour prior to exercise. The lentil meal produced less hyperglycemic and less hyperinsulinemic response before exercise and maintained blood glucose and maintained higher free fatty acid levels during exercise. This means that less glucose was being oxidized and more fat was being burned, allowing for longer, more intense workouts! Tip: Simple carbs may provide a quick hit of energy, but that energy is short-lived and can result in feelings of hunger, but also fatigue that can cut your workouts short. Opt for complex carbs on both low and high days to provide you with more sustained energy, more intensity for your training and even greater fat burning! Use whole grains, beans, legumes, squashes, sweet potato, fruit and vegetables with stalks like kale, broccoli and cauliflower! 3. Should My Calories Remain the Same on Both High and Low Days? If your goal is weight loss, you must create a calorie deficit in order to lose weight and burn off fat. So whether you’re on a high or low carb day, you’re calories will remain the same. Cycling of carbs is a focus on macronutrient ratios. not calories. A calorie deficit of at least 500 calories per day is necessary in order to have weight loss; this is 3,500 calories over the course of one week. Your macronutrient ratios on low carb days should be in the range of 50 percent protein, 20 percent or fewer carbs, and about 30 percent or more fat. On high carb days, this range can switch to 50 percent or more carbs, about 30 percent protein, and about 20 percent or less fat depending on your food choices. Cycling calories is possible as well during a carb cycle, but it might be challenging— consider that on a fat loss diet, your calories will already be at a minimum. Lowering them more to give rise for more calories on a high day could result in a diet meltdown if you’re not careful. Also, too little calories can have the reverse effect on your fat burning! Tip: Instead of cycling both calories and carbs, choose to do one or the other. If it gets too much to be so strict with your calories and your carbs, instead of cycling, consider doing one re-feed day per week that uploads both calories and carbs. Opt for a calorie increase of about 10 percent, and use the high carb day macro-ratios above. This will give you some satisfaction one day per week, while still being an effective diet for fat burning. 4. What Should I Eat On High and Low Days? Tip: Any diet you use needs to be full of the good stuff— the fresh wholesome, natural foods and free from the processed foods. 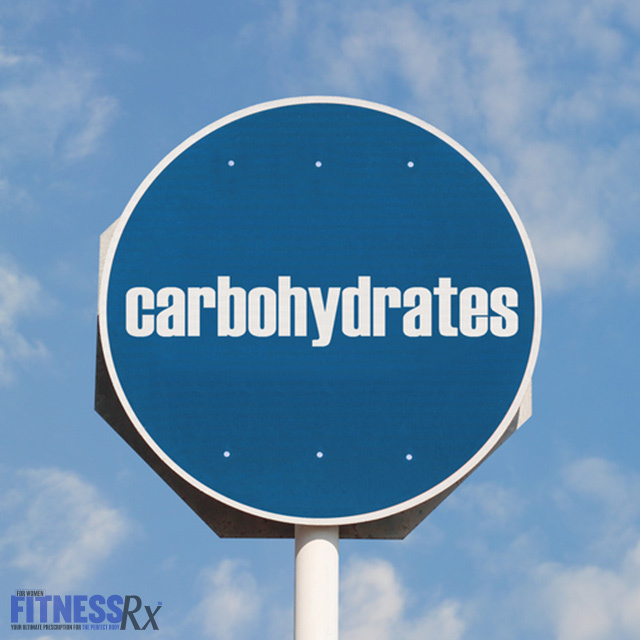 Being on a carb cycle should not be an excuse to have a high carb day filled with junky carbs! Instead focus on the ratios of the food you’re eating. Thomas DE, et al. Carbohydrate feeding before exercise: effect of glycemic index. Int J Sports Med. 1991. 12(2): 180-6.